On the path to a global society. We rely on our roads every day and should not take them for granted. 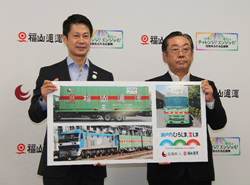 The company launched its 'amenity-clean' initiative in Fukuyama City on July 20, 1990 and has since extended it throughout the country. 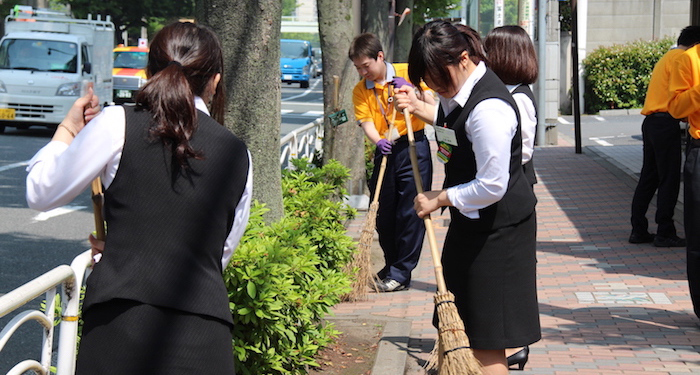 The company supports and participates in crime prevention activities in Japan and overseas to help build a society where people everywhere can live a life free of fear. 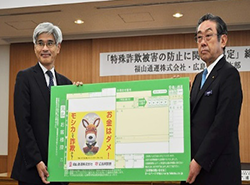 The company reached an agreement with Hiroshima Prefecture on June 14 2017 to distribute much of the prefecture's PR and disaster preparedness information. Placing seals on home delivery parcels to raise awareness of the dangers of fraud and deception. The company shares information internally and cooperates with public organisations in order to fight the use of home delivery services for deception and unfair trading. Hosting the honorary consulate for the Republic of Lithuania. On being appointed honorary consul of the Republic of Lithuania on January 30th 2017, President & C.E.O. 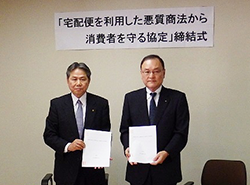 Shigehiro Komaru established the offices of the honorary consul in the company's headquarters. 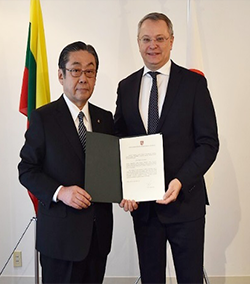 The company is committed to promoting friendly relations between Lithuania and Japan.